Elluician is a company that helps educational institutions create those wonderful systems that allow online and distance learning! They are the guys that makes it possible to take an educational course from home or a Starbucks. The create higher education software and services. What's really wonderful is that this company is open to flexible work schedules, they are so open that 40% of their employees work remotely! Way cool, huh? Want to be part of a large, growing industry? Check out all the jobs with this great company. Sage North America is a company that provides business management software to small or mid-sized businesses. Basically, they provide accounting, invoicing, payroll and other financial systems. The company seems to be booming and they have a few telecommuting jobs -- most are in the realm of SALES. Go to their Employment Website to check out the jobs they have to offer. If you want to view all the companies that I have found that offer telecommuting jobs, you should visit my post: Telecommuting Companies Round-Up. Do you like being fashionable but you just don't have the income to do it? Have you said in your head: "Damn, if I could get my hands on that outfit I would work that outfit." Why let a thing like lack of funds stop you? No, I'm not talking about buying things on credit because that won't make you rich at all. 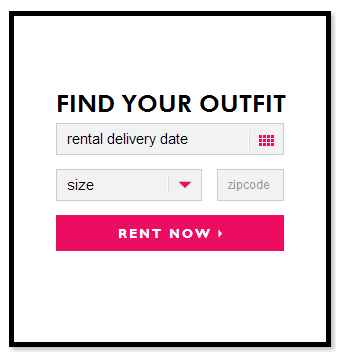 No, baby you can rent complete outfits for as little as $40 a month or $500 a year! What! Yes, name brand, baby. Check it out. You can rent out brand name clothes, shoes, purses and jewelry . . .
For example at Borrowed Closet they provide its clients with the "ultimate dream closet." Rent up to 100 credits worth of items. A dress may be 50 credits, a necklace maybe 15, shoes may be 25. Keep the items as long as you'd like. The company takes care of cleaning rentals and the items can be exchanged as many times as desired per month. Borrowed Closet likes to bill themselves as the Netflix of the fashion industries. The cool thing is, there are others just like Borrowed Closet. Rent the item you want per month. Le Tote "Your closet expanded"
Complete style profile; tote with 3 garments and 2 accessories come; when ready for new stuff send back the items in pre-paid bag; do as many times a month as you like. Free to register and costs $9.99 a month to gain membership. Have you heard of fake it 'til you make it? Have you ever heard people say you have to "look the part" to move into success? Well, here is your chance to do so without going into bankruptcy to do it. I mean, you realize that "celebrates" that makes millions don't own the outfits that they are given to display on the red carpets, right? They are often "given" the items or they "borrow" from a designer. Even the people that seemingly can afford to pay for the luxuries . . . don't. Why should you? Work the system people . . . all the most powerful and influential do.